You can put an iPhone SE in your pocket for just $140. This week, take your mind off that new $1,000 iPhone X and get these bargains instead! 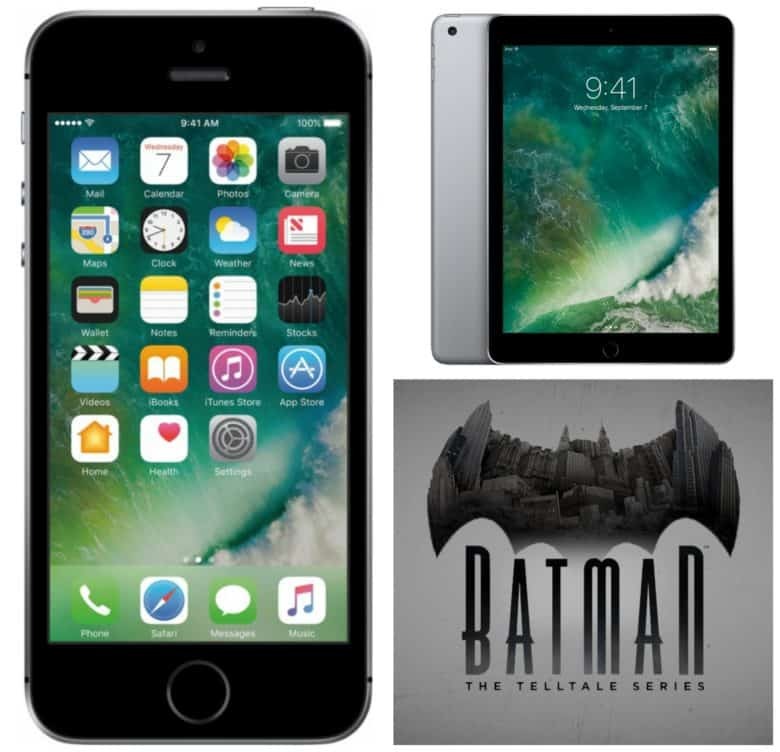 We found great deals on iPhone SE and iPad, plus a couple of free apps (including an awesome Batman game). Sure, all the talk this week has been about the new iPhone X, but maybe you don’t need facial recognition, fancy emojis or all the other bells and whistles. The compact 32GB iPhone SE can be yours for only $140, which is considerably less than the iPhone X’s $1,000 price tag. While Apple is raising its iPad Pro prices, everyone else continues to lower their prices on Apple tablets. Micro Center is offering a current-gen 9.7-inch iPad with 32GB of memory for $260 — the lowest price we’ve seen. If you’re one of the one in 10 Americans with diabetes, this app will come in handy. Available for iPhone and iPad, Glucose Buddy+ for Diabetes helps you track and manage your glucose levels. This is the first time it’s been free — a $7 savings. Holy guacamole, iOS fans! You can get Batman: The Telltale Series for iPhone and iPad for free! That’s $5 off the regular price (and the first time such a thing has occurred).